I really like this book but you do need to be aware that it is knitting and crocheting. I can only crochet so am unable to do the knitting designs. There are some beautiful flowers to make in here. I have so many ideas of the things I want to put the flowers on. 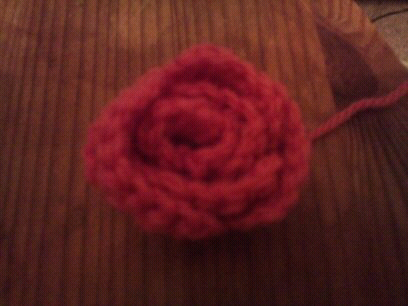 Since making this rose I have put it on a brooch pin and wear it all the time.